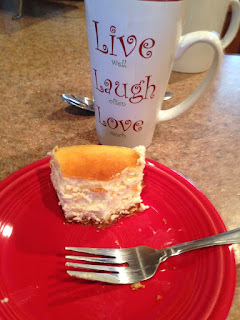 1) Get in the mindset - I always try to picture myself sitting around the kitchen table eating cheesecake and drinking coffee with the person I'm interviewing. Even though we may have never met, I like to think of each interview as a friendly conversation with an old friend. 2) Do your homework - I can't imagine how difficult it would have been in 1960 to do your homework about an author, but it's 2017 and we have this fancy thing called the internet and it allows us to connect with all sorts of people. Most authors have a website, blog, facebook page, or all of these. In addition to reading their book or article, I also like to check out other interviews, blog posts, recent social media posts, etc...to help gather information for our interview. 3) Ask the tough questions - if the authors bio indicates it took them 5 years to write a book, or they started writing one book and ended up publishing another, don't be afraid to ask about those areas of their writing. 4) Go back if necessary - since many of my interviews are done online (via email), it's a little different than sitting down with someone face to face. I'll generally offer someone 7 questions and ask them to answer the 5 they like most. Sometimes I get the answers back and then it prompts more questions,,,so I ask them! If I were to ask a question about who was most influential in your writing career and you told me it was your sister in law because her books are on the NYTimes best seller list time and time again; how on earth could I not ask who your sister in law is and what she thinks about your recent success? People love talking about themselves, so if an answer prompts another question, don't be afraid to ask it. 5) Make it conversational - Once you've got all your answers, go back and take a look at your questions. You can add a little here and there to make the interview flow as if you were sitting on a couch sipping coffee with the author you are interviewing. This makes the interview a lot more fun for the reader. As a reader of an interview, if you are left with more questions, be sure to leave them as a comment to a blog post. In most cases (especially here at WOW!) authors and interviewers love responding to comments on blog posts. What would you like to see in a memorable interview? What WOW! interview has been your favorite and why? 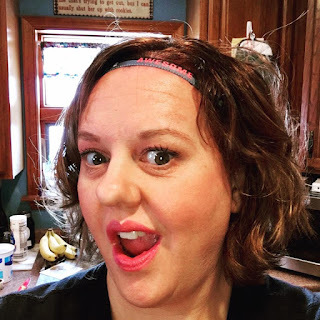 Crystal is a secretary and musician at her church, babywearing cloth diapering mama (aka crunchy mama), business owner, active journaler, writer and blogger, Blog Tour Manager with WOW! Women on Writing, Publicist with Dream of Things Publishing, Press Corp teammate for the DairyGirl Network, Unicorn Mom Ambassador, as well as a dairy farmer. She lives in Manitowoc County, Wisconsin with her husband, four young children (Carmen 9, Andre 8, Breccan 3, Delphine 2, and baby E due in fall 2017), two dogs, two rabbits, four little piggies, a handful of cats and kittens, and over 230 Holsteins. You can find Crystal riding unicorns, taking the ordinary and giving it a little extra (making it extraordinary), blogging and reviewing books, baby carriers, cloth diapers, and all sorts of other stuff here, and at her personal blog about turning lemons into lemonade! Crystal--I love when writers share an anecdote about a writing challenge/a writing humorous moment or a writing faux pas. Thanks for the post. I'm going to interview someone soon, and these suggestions will help. These are great tips, Crystal. :) I like that you give writers a few extra questions so they can choose what they want to answer. I also let them know if there's anything I didn't ask that they want to talk about to go ahead and write it in. I know that sounds lazy, but some authors have talking points that they want to speak about. I also love it when authors have in-depth discussions about their stories--themes, plot, character motivations, etc--and publishing industry/market discussions. When I first started interviewing for WOW, I'd always follow up with a phone call even when I sent email questions. That really helped to make the interview memorable. I'd use quotes from our conversations and establish a friendship with the author or celebrity. I know that's not feasible with blog interviews, but for feature interviews it helps make things more dynamic. I agree that doing your homework always helps in an interview. I think you also look at times you were interviewed and questions you enjoyed answering, and possibly work in questions like that. Maybe keeping a list of notebook of questions that always work and those that don't is also helpful? That's brilliant (the notebook idea)! I love the idea of a phone call; thanks Ang!!!! Humor in an interview (or anything) always adds to the fun; great point! Good tips! I like to start with easy questions to make sure I have the facts right and break the ice, then move to more difficult questions. And the picture just made me hungry for cheesecake!